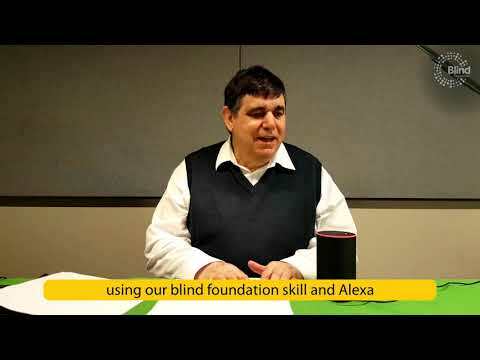 You can now read audio books and magazines from the Blind Foundation with your Alexa, using the Blind Foundation skill. With over 17,000 titles, the Blind Foundation library features New Zealand and international audio books, and selected magazine titles produced in the Parnell studios. Just ask Alexa to find a book or magazine, and you can listen to the audio directly online. You can search by author, title, or just ask for a random book to start reading. An Amazon Alexa smart speaker, such as an Echo, Dot, etc. To use the skill, you will first need to be a Blind Foundation Library member, or have a print disability. Registered Blind Foundation clients and New Zealand citizens/residents with a print disability are eligible to join. For more information, visit ‘Accessing our Library’ or call us on 0800 24 33 33. To register an Amazon account, you need to be aged 18 or over, and have access to your own e-mail account. Within New Zealand, it’s preferable to create your Amazon account on www.amazon.com.au. 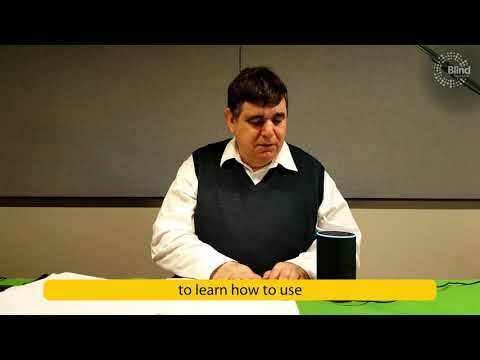 This will ensure better localization when you set up your Alexa, so that you can use it more effectively with other skills besides the Blind Foundation. Once you have created an Amazon account, you will need to register the account name with the Blind Foundation, in order to authorise your access to the Blind Foundation skill. Please call us on 0800 24 33 33 to confirm your Amazon account with the Library team. How does the skill work? When you start the skill for the first time, Alexa will start by offering you a tutorial in basic operations. In the tutorial, you can practice interacting with Alexa, asking for help, looking for books, and choosing books from a menu. You can then get start requesting your own books and magazines to read. The next time you start the skill, Alexa will ask whether you would like to carry on with the last title you were reading. While you are reading a title, you can increase or decrease the volume, and skip between chapters. When you go back to a book you have started reading, Alexa will take you back to the place you left off. Alexa is a smart speaker that acts like a personal assistant. You can ask her questions or request her to do a task for you. Our library service skill is called Blind Foundation. This skill can currently play audiobooks and magazines. There are a few other commands you might find helpful. Alexa is fast, simple and convenient. “Talking is so important to blind people. 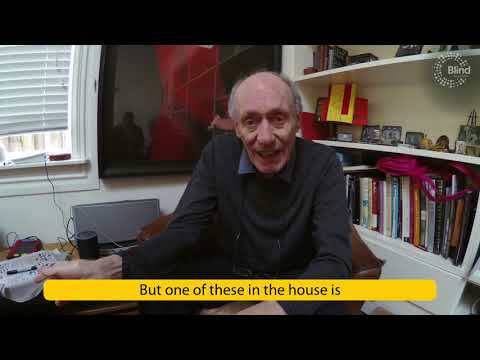 Having this in the house is just the same as having another person, I think that’s fantastic”. Alexa is simple, just speak to her. “ I am very impressed with how responsive she is. I think that whole concept of being able to just use my voice, I think it has taken a lot of access barriers away and made things faster”. 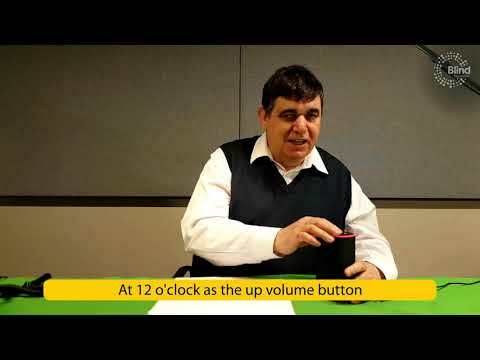 The Blind Foundation Alexa skill helps our elderly clients stay in touch with the world. 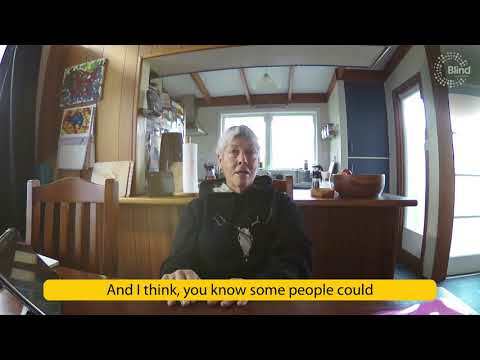 The video starts with the following quote by Heather Davis “It’s kind of company that you can ask her something”. The Blind Foundation Skill does not collect or transmit any user’s personal information, with the exception of technical information included in HTTP requests (such as the IP address). No personal information is used, stored, secured or disclosed by services this application works with, except for the user’s registered Amazon account e-mail address for validation purposes. 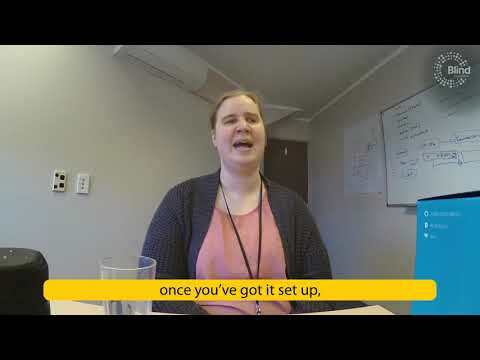 If you would like to report any violations of this policy, please contact us at applications@blindfoundation.org.nz.